2nd International Conference on Medical and Health Science : Vydya Health - Find Providers, Products. Conference series is hosting “2nd International Conference on Medical and Health Science”, held during July 26-27, 2019 at Melbourne, Australia. We are happy to invite all anticipated participants to share and explore their research findings as keynote presentations, Oral talks, Poster Presentations, Workshops, and Exhibitions. 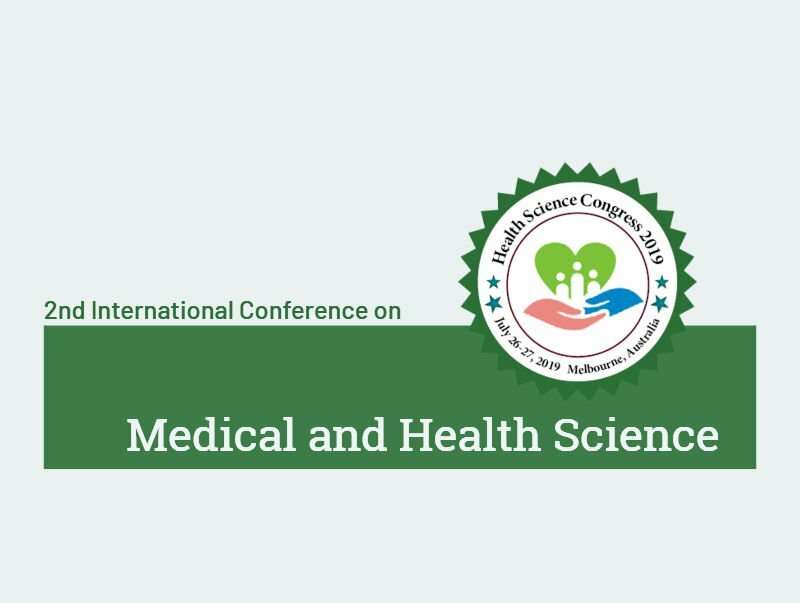 Health Science Congress 2019 is a specially designed industry oriented conference focusing on the theme “Scrutinize the Modish of Medical and Health Science” which covers a wide range of critically important sessions. Health Science Congress 2019 will provide the excellent opportunity to meet Experts of health and Pharma institutes, Researchers, Clinicians, Experts, Directors, Professors, Associate Professors, Pharmacists, doctors and Certified health and medicine educators.